The Person-Centred Approach developed from the work of the psychologist Dr. Carl Rogers (1902-1987). He advanced an approach to psychotherapy and counselling that, at the time (1940s-1960s), was considered extremely radical if not revolutionary. Originally described as non-directive, this therapy moved away from the idea that the therapist was the expert and towards a theory that trusted the innate tendency of human beings to find fulfilment of their personal potentials. An important part of this theory is that in a particular psychological environment, the fulfilment of personal potentials includes sociability, the need to be with other human beings, and a desire to know and be known by other people. It also includes being open to experience, being trusting and trustworthy, being curious about the world, and being creative and compassionate. The psychological environment described by Rogers was one where a person felt free from threat, both physically and psychologically. This environment could be achieved when being in a relationship with a person who was deeply understanding (empathic), accepting (having unconditional positive regard) and genuine (congruent). You are invited to talk about whatever you wish to explore. 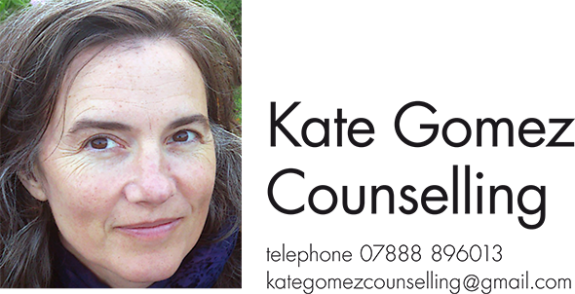 There is no such thing as a typical client, each one is truly unique and counselling enables you to work at your own pace and in your own way.